The most popular music tagging app just got better with the release of v5.0 just recently. Lightning fast tagging. Now discover, explore and share more music, TV shows and brands you love in as little as one second. With unlimited tagging use Shazam as much as you want, and experience more of what you like, faster. So as stated above, Shazam has managed to improve on the functionality of the app to tag music by cutting start-up times and reworking the way the app listens to music to tags songs. Apart from the improvements above, v5.0 also brings other improvements. The Friends feed is faster and the overall interface is more polished; Twitter integration with iOS 5 is now properly supported, allowing users to edit their tweets. Lastly LyricPlay, a feature to associate lyrics with songs, has received improved sync and streaming. 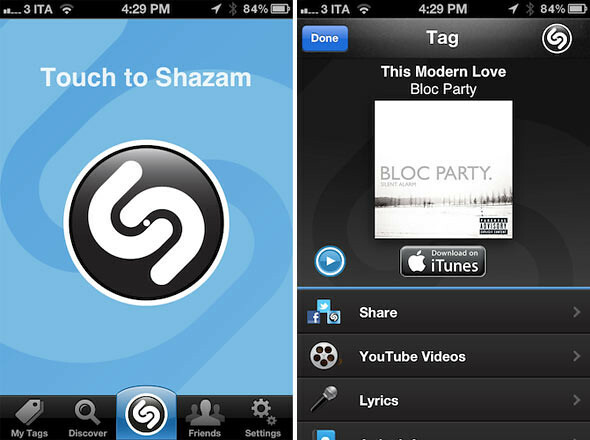 One Response to "Shazam v5.0 For iPhone Brings Faster Music Tagging"